This exhibition explores current changes in the way we design, make and use the objects that we depend on. 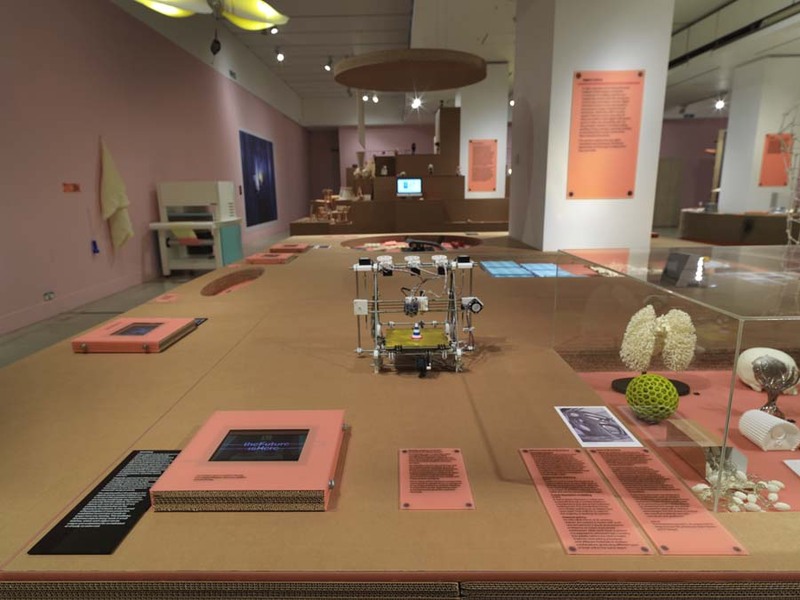 The Design Museum curators came to architects dRMM and graphic designers Lucienne Roberts, with various problems that they anticipated the exhibition design could solve. 3D flashing title made from various colours of perspex. 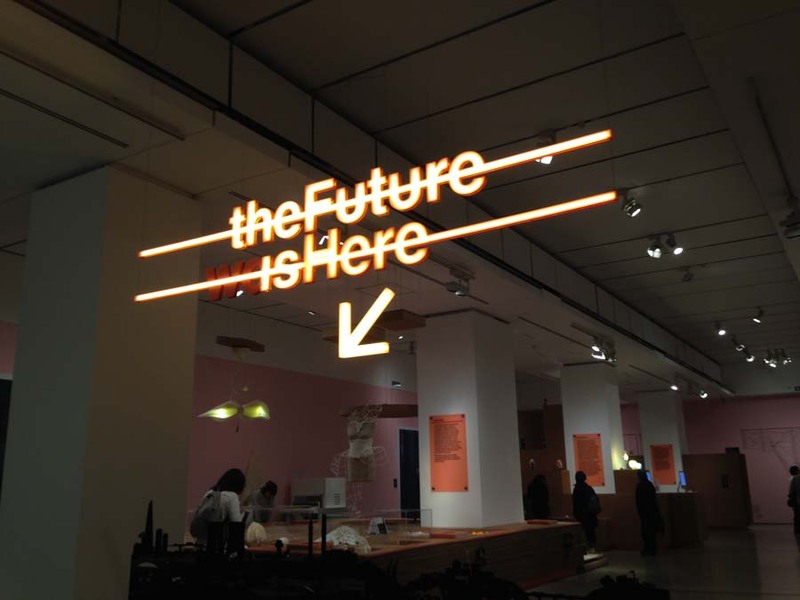 That read “The Future is/was Here” and internally lit with LEDs. 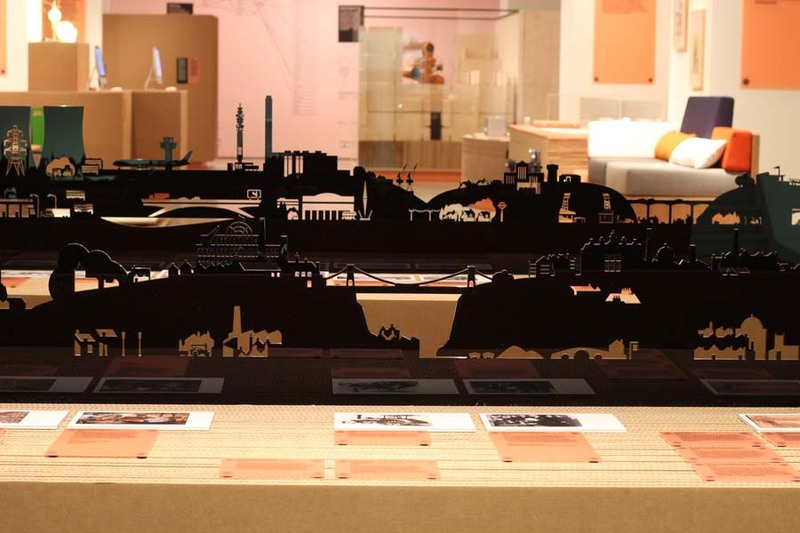 Three 3m long miniature silhouette landscapes, laser cut from 10mm black perspex, showing changes to the landscape over the last 300 years. 3-d design by dRMM architects. 2-d design / art direction for exhibition and publicity Lucienne Roberts.